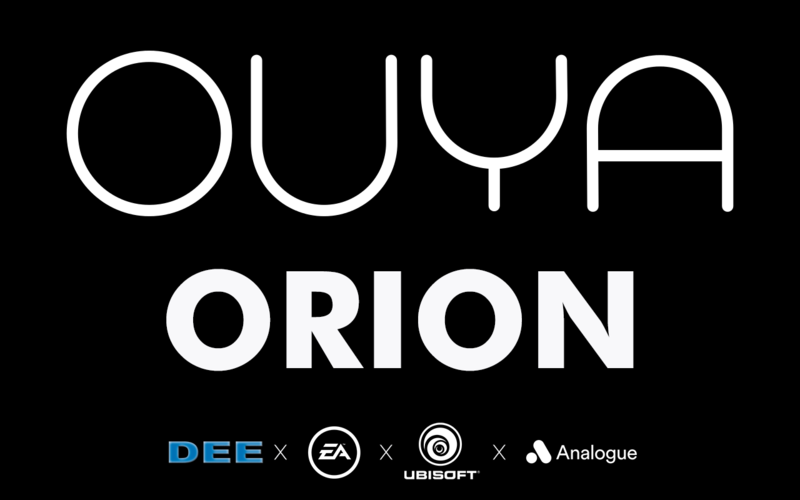 NEW YORK, NY April 1, 2019- Digital Era Entertainment officially announces its first foray into console hardware: OUYA ORION. Quietly acquiring the rights from current brand owners Razer over Winter 2018, Digital Era Entertainment has reached out through its staff’s vast industry network to prepare a brand new entry in the hardware market to counteract the movement towards streaming. The console will use a combination of proprietary disc-based reading technology to access ANY physical hardware disc, modern or legacy, and work is being done in tandem with retro game console maker Analogue to develop proprietary PCB-focused attachments to allow use of ANY classic cartridge for the ultimate offline experience! OUYA ORION is expected to release at the tail end of Q4 2019 to avoid the post-Christmas rush and beat the glut of anticipated next-gen releases from Sony and Microsoft. Formed in 2003, Digital Era Entertainment is the brainchild of Mario Bueno, and to date has specialized specifically in fan-made video projects pertaining to Otaku culture with earlier projects pertaining to electronic music culture. With projects ranging from trailers/partially completed film series “Resident Evil: Bunny” (2004; HD Remake 2007), to feature length fan film “Final Fantasy vs Kaiju Big Battel” (2005), and the webseries “Doujinopolis” (2009-2010), DEE has also produced advertisements and promo videos for others such as American Cosplay Paradise+Aniplex of America (2010-2011), and co-productions for some of our partners like Uncle Yo (2010 DVD Feature, 2013 web promos for “EctoKittLorean”). In 2017, DEE CORe, an informative-minded venture originally slated for release back in 2007, was (re)debuted. A livestreamed program for this subsidiary (“DEE CODE”) helmed by DEE CORe Editor-in-Chief Kenneth Cardez launched on January 1, 2018 and anchors nightly live broadcast content on Twitch. As it moves forward, Digital Era Entertainment hopes to expand beyond its internet roots, but until then, it will proudly be a creator of easily consumed entertainment media!